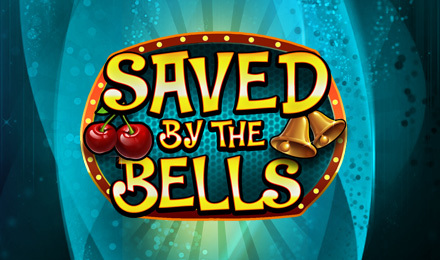 Saved by the Bells Slots is a spectacular online slot with classic style and vintage fruit symbols! Enjoy 25 paylines full of Wilds, Scatters, and a chance to win 50 FREE Spins! Saved by the Bells slots is a thrilling online slot game with a classic theme and all your favourite traditional symbols! Line up a winning combination of Bars, Cherries, Bells, and 7’s to win exciting cash prizes! The 7’s symbols serves as the Scatter and when you land them on a winning payline you’ll get up to 50 FREE Spins! The Bells are Wild and not only replace other symbols but will also double your Wild wins! Plus if you manage to get 5 Bell Wilds you could win a massive 2,500x your wager!